Twisted-pair cable with symbols. Foil shielded cable. Shielded cables are electrical cables that contain insulating conductors encased in a standard conductive layer. The shield can be made from strands of braided copper (or a similar metal), a spiral copper tape, or some other conducting polymer. The importance of shielded cables cannot be stressed enough. Shielded cables are usually thicker and more rigid than unshielded cables. They also require greater care when working with them. Shielded cables are most often found in industrial settings and installations where other nearby equipment is likely to generate electromagnetic interference (EMI). Unshielded, twisted cables do not have internal shielding to reduce EMI. Instead, they are designed to cancel out EMI by employing a twisted pair of wires. 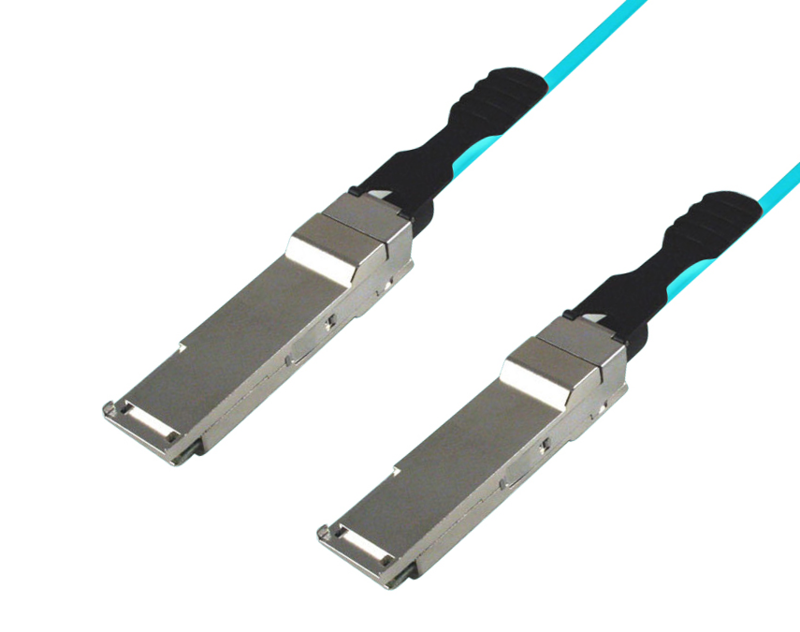 These cables are lightweight and thin, making them best suited for indoor use in an office setting for a LAN or similar network cable systems. They are also less expensive than industrial cables. However, they are not always a good fit for industrial settings where larger amounts of power are needed or where heavy equipment will be in regular use. What Is Shielded Cable Used For? 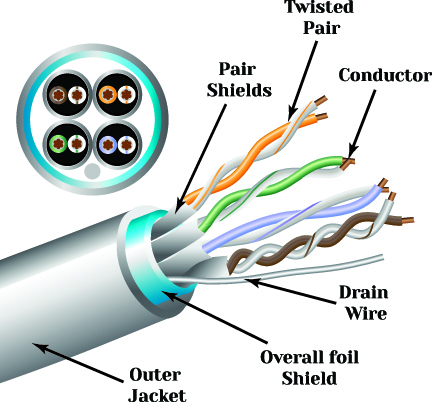 Shielded cables are used to protect the data being transferred through the cable from degradation by EMI exposure, which is common in data centers, industrial settings, offices, and other settings where computer technology, electrical equipment, or electronic equipment is in heavy use. EMI is generated by an external source that affects an electrical circuit through an electrostatic coupling, conduction, or electromagnetic induction. EMI disturbance can reduce the performance of a circuit or even cease its functioning altogether. Wherever a data path exists, these effects can vary from increased error rates to a complete loss of data. Both natural and artificial (manmade) sources can generate the variable electrical currents and voltages that cause EMI. Vehicle ignitions and mobile phones are prime examples of artificial sources of EMI. Natural sources of EMI include electrical storms and the sun. EMI commonly disrupts AM radios, televisions, and mobile phones. The shielding in shielded cable reduces the volume and intensity of the electrical noise, lowering its effect on signals and transmission while also reducing electromagnetic radiation. Foil and braided shielded cable are the two most common types of shielded cable for industrial purposes. Foil shielding incorporates a thin sheet of either copper or aluminum. This “foil” is usually bonded to a polyester carrier to enhance the strength of the cable. Also known as “tape” shielding, this type of shielded cable provides 100% protection for the conductor wire they are wrapped around. No EMI from the environment can penetrate. However, because the foil within the cable is extremely delicate, these cables are very difficult to work with, particularly when using a connector. More often than not, a drain wire will be used rather than trying to ground the cable shield entirely. The second method used to shield cables is braiding. Braided shielded cables employ a mesh of woven copper wires. Braided shields provide less coverage than foil shields, but are much more durable. The braid creates a low-resistance path to grounding and is much less difficult to terminate when applying the connector. Braided shielding generally will provide between 70% to 95% protection from EMI, depending on how tightly the braid is woven. Braided shields are more effective than foil shields due to the fact the copper has a higher rate of conductivity than aluminum and because they are less prone to internal damage. Braided shield cables are heavier and more expensive than tape shields, as they are more durable and offer better performance. Depending on the work environment, one type of cable may be preferable to the others. Certain workplaces require foil shielded cable only, while others may require braided mesh shielded cable. Other workplaces demand a mix of cable types. Coil spiral cables should be used where cables will be flexed and moved frequently. In areas where a cable may not be moved often but will be exposed to pressure or impact, braided cables are often the best. In environments where the cable can be expected to go undisturbed by workers, machines, or other factors, foil shielding may be appropriate. In all cases, shielded cables must be properly grounded to ensure the safety of workers and equipment.